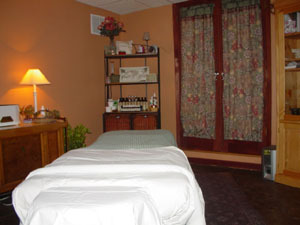 Restoration Massage Therapy, Inc. provides a full line of massage services, including Swedish Massage, Pregnancy Massage, Sports Massage, and Deep Tissue Massage. (Click here for more detail.) Our massage therapy suite is designed to be a soothing place of comfort and relaxation so that you can receive the full benefit of your massage experience. 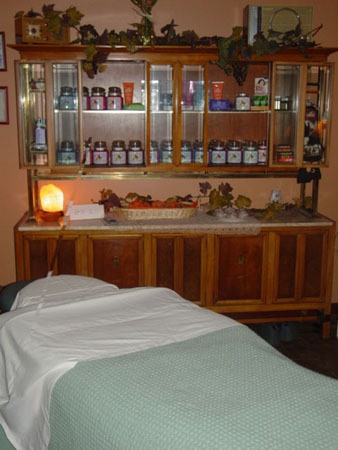 At Restoration Massage Therapy, Inc., we believe that lasting health improvements are made through a three-fold approach of addressing issues on physical, nutritional, and spiritual levels. Addressing these areas will have a positive effect on mental, emotional, and physical health, with the goal of decreasing the effects of disease and an increasing overall health. We believe that massage therapy is for more than just treatment of injuries. It is a vehicle to assisting the body to perform as it was designed to... balanced, efficient, healthy. We also strive to help educate clients about how their body functions, realizing that knowledge goes a long way in healing. We offer support and encouragement to those who are looking to make the commitment to improve their health at whatever level they are seeking. We also offer prayer support to those of our clients who are interested and specifically request it. Nationally certified and state Licensed Massage Therapist Nikki Borsellino, NCTMB, LMT received her training and certification from the National University of Health Sciences (formerly National College of Chiropractic). She is a member of the American Massage Therapy Association (AMTA) and the National Certification Board for Therapeutic Massage and Bodywork (NCTMB), and has taught at National University of Health Sciences.